National Integrity Systems (NIS) can be described as the sum of all our institutions, laws, and efforts in stopping corruption. 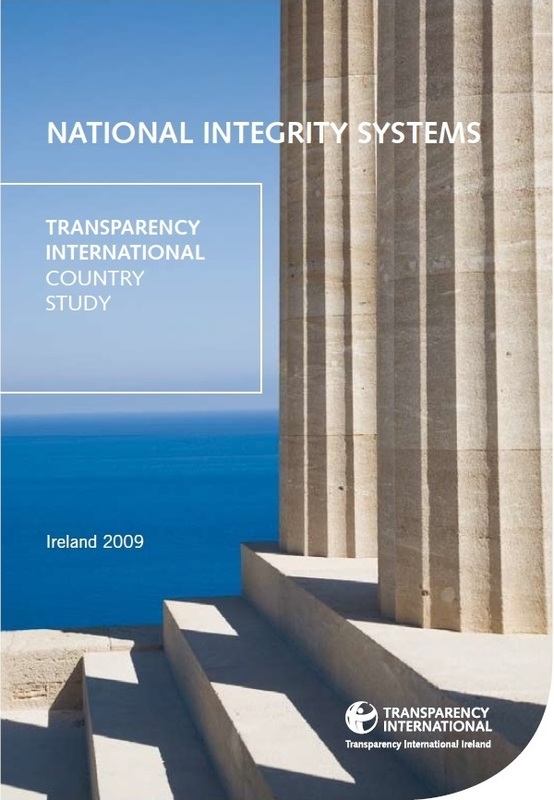 The purpose of each NIS study is to assess the National Integrity System, in theory (laws and institutions) and in practice (how well they work). The studies provide benchmarks for measuring further developments and a basis for comparison among a range of countries. The studies signal areas requiring priority action and also form the basis from which stakeholders may assess existing anti-corruption initiatives. In 2009 we published the first ever analysis of how well Irish laws and institutions were able to stop corruption in all its forms. We have used our findings to campaign for reform and help make government, business and civil society more transparent and accountable. The NIS Country Study for Ireland 2009 was published with the support of the Department of Justice, Equality and Law Reform. 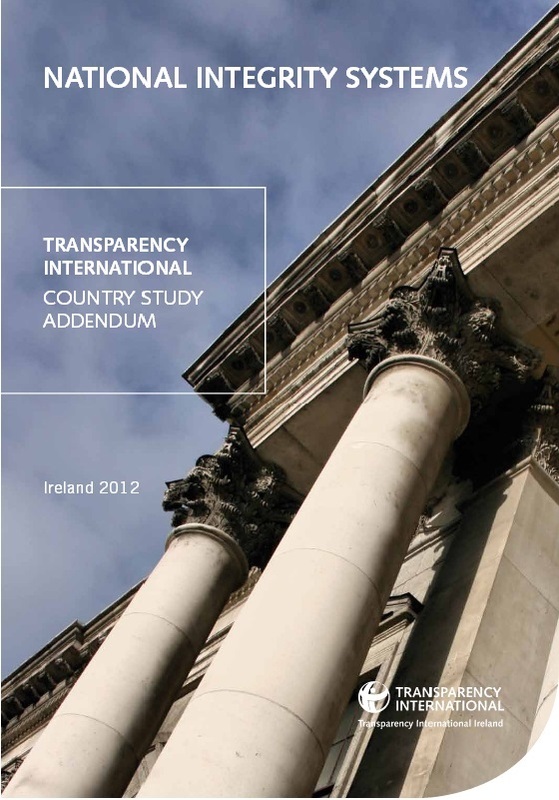 In October 2012 we published an addendum to our earlier NIS Country Study which analysed progress since 2009. This research was part of a European Commission-funded anti-corruption initiative which saw NIS studies produced for 25 European countries. A pan-European report published as part of this process in June 2012 highlights important trends across the region, pointing to the most significant deficiencies and gaps in the national integrity systems and shining light on some promising practices that emerge. The NIS assessments were conducted in the following countries: Belgium, Bulgaria, the Czech Republic, Denmark, Estonia, Finland, France, Germany, Greece, Hungary, Ireland, Italy, Latvia, Lithuania, the Netherlands, Norway, Poland, Portugal, Romania, Slovakia, Slovenia, Spain, Sweden, Switzerland and the UK.